Garden wall downlights are outdoor wall lights in which the light is directed downward. These lights are often used above a home’s door or along a garden wall to highlight various plants or features. When placed above a wall garden wall downlights give you plenty of light to be able to unlock your door when you return home after dark while not having to deal with the blinding glow of a light shining directly into your eyes. Garden wall downlights may be used beside the doors of garages or carriage houses for safety and convenience as well as along garden walls to highlight shrubbery or plants. While garden wall downlights are only one type of outside LED lighting they are not the only type of outdoor wall lights that people use to provide lighting to their outdoor areas. However, when these lights are used correctly these lights can enhance the beauty of your home and add to the usability of your outdoor area. They also provide a warm welcome to anyone coming to your home. Outside LED Lighting results in lower energy bills-LED lighting uses far less energy than other types of lighting. This means that you save money on your energy bills when using LED lighting instead of other types of lighting. The more LED lighting you use the more money you can save. LED outdoor wall lights never need to have bulb changes- Since the LED lighting element is built right into our lights you never have to worry about changing another light bulb. Long-lasting- LED lights are long-lasting providing you with 20,000 hours of light, which with normal use will provide you with several years of light. LED garden wall downlights are low maintenance- Once a licensed electrician installs your garden wall downlight there is very maintenance needed to keep your lights functioning like they should. LED wall lights are environmentally friendly. LED lighting lessens the burden on non-renewable energy sources, which is good for the environment. In addition, LED lighting does not give off CO2 the way many other lighting sources do and the entire light is 100% recyclable. Here at Ultra Beam Lighting LTD we have been making high quality lighting for more than 2 decades. 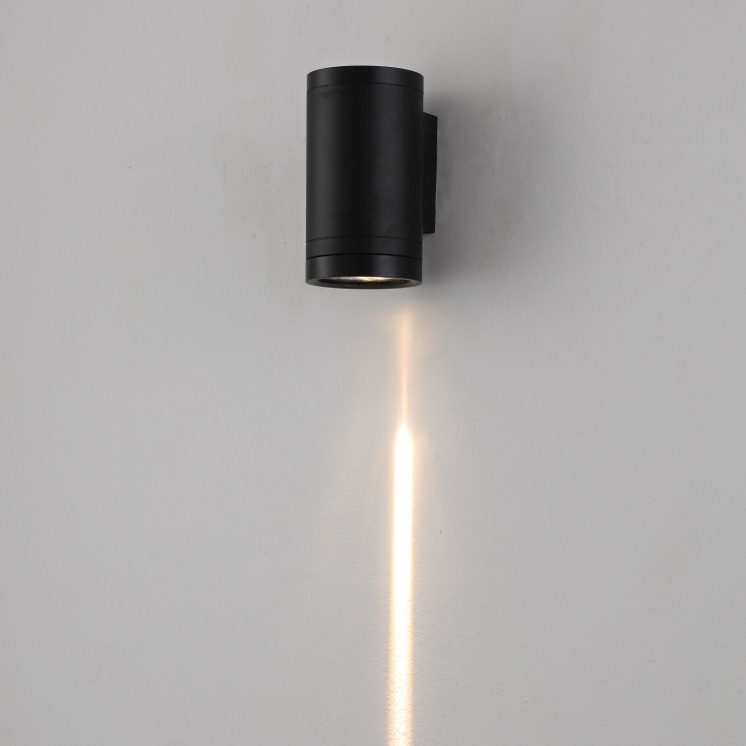 We use the latest LED technology in our garden wall lights. Our outdoor wall lights are are long lasting, energy efficient, require little maintenance and are good for the environment. We also keep lighting experts on hand to help answer any questions you may have regarding our lighting or who can advise you as to the best lighting to meet your individual needs. Why not take a few minutes to browse our website and check out our outdoor lighting. Should you have any questions concerning any of our lighting you can talk to our online representative or give us a call at 0800-678-5156. Garden wall downlights are outdoor wall lights in which the light is directed downward. These lights are often used above a home's door or along a garden wall to highlight various plants or features.